BUYING WINE IN ANGELES PAMPANGA? Now you can order wines from our online wine shop and get wines delivered delivered to your door. 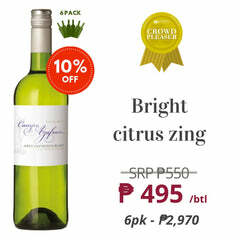 Buying wines in Angeles Pampanga is fast and easy with Winery Philippines. No more traveling and no-hassle online wine shopping -- the best red wines, the best white wines, champagnes for sale in the Philippines, and more! Looking to buy wines in Angeles? Now you can order wines from our online wine shop and get wines delivered delivered to your door. 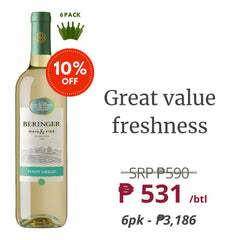 Buying wines in Angeles is fast and easy with Winery Philippines. No more traveling and no-hassle wine shopping -- the best red wines in the Philippines, the best white wines in the Philippines, champagnes for sale in the Philippines, and more! We've made it so easy to buy wines in Angeles Pampanga through our curated online wine store. We’ve partnered only with boutique wineries that are passionate about producing and selling great wines, so we can guarantee that every wine bottle included in our selection are some of the best wines you'll ever taste. Try one of our popular wine mixed cases or browse by wine region. Click on the Buy Wine (link at the top) to get started. We sell a curated selection of wines from around the world: Australia wines, wines from the USA, Argentine wines, and more -- our wide selection of wines are now available at your fingertips! Pampanga wine buyers can pay by card (via Paypal), Paypal or bank transfer! Paypal is our most preferred payment option and your most secure way to pay for your online wine shopping. We'll make sure that wine delivery in Angeles reaches you in the fastest time possible! Delivery lead times is between 5-7 days within Angeles City limits. We deliver on working days (excluding Sundays and holidays) from 9AM - 6PM. Bring home a mixed case comprised of our all-time bestselling wines. Our customers have spoken, and these are our 12 top selling wines, from the time we started Winery Philippines. We're practically giving away these top notch Merlot and Sauvignon Blanc fresh from Australia! These easy drinking wines are perfect for any gathering. So stock up! You're going to need it for the holidays. Bring home the perfect mixed case for parties, comprised of carefully curated Red, White and Rosé wines, plus the finest French Champagne. This mixed case is guaranteed to keep the party going! We like to keep things simple and keep our shipping fees to a minimum so that you get more bang for your buck! Below are our standard shipping rates for wine in Angeles. Q: Do you ship to Angeles? A: Yes, we offer wine delivery in Angeles, Pampanga. We work with a number of service providers to help facilitate a seamless, secure, and reliable delivery process. Shipping rates are outlined in the table above. If you are ordering more than 24 bottles, please reach out to us via our hotline numbers 0917 500 4657 or (02) 5069185 or get in touch with us via email at sales at winery.ph. We can arrange for better, more cost-effective rates for bulk wine orders. Upon check out, please select the APPROPRIATE choice under Shipping Method. Note that the shipping fees displayed is auto-calculated based on the number of bottles you have in your cart. A: For wine orders from Angeles or anywhere in Pampanga, the minimum order is 3. Q: Do you accept Cash on Delivery for Angeles / Pampanga wine orders? A: No, Cash on Delivery is applicable only to orders received within Metro Manila. You will need to settle payment via bank transfer, credit car, or Paypal if you're ordering wine from Angeles. Winery Philippines (Winery.ph) curates and sells the best quality, value for money wines in Angeles, Pampanga, Philippines through our online wine store, launched in 2017 by a group of passionate wine lovers, who wanted to drastically improve access to good quality wine for Filipinos. Wine lovers in Angeles can find the best red wines in the Philippines, best white wines, champagnes for sale in the Philippines, and many more in Winery Philippines! We've partnered with boutique wineries around the world that are passionate about producing great wines. Among the top selections of wines are Australia wines featuring wineries such as Chrismont, Pizzini, Printhie, and All Saints. We also have a great selection of Argentina wines, from Malbec wines to Viognier, Portugal wines such as port wines, as well as USA wines from Napa Valley and Sonoma County. We've made it easy and convenient for wine lovers to buy wine online in Angeles through our world class content and curation, designed to empower our customers in Angeles, Pampanga to discover wine by providing easy to digest product information that is contextualised for the Filipino wine drinker. 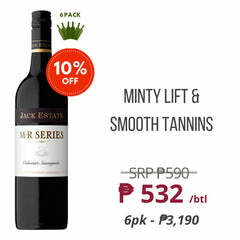 These wines are also perfect to include in wine gift baskets or wine giveaways for delivery anywhere in the Philippines. 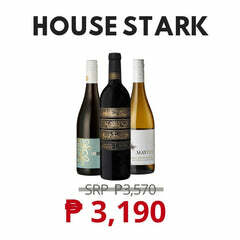 Leading online wine store, Winery Philippines, is committed to democratising the wine category, making good wine affordable for more Filipinos, who can be put off by the prevailing high prices to ensure a quality bottle, or else resorting to cheap but mediocre options to avoid ‘selection risk’. Winery.ph by contrast does not list mass-produced, factory made wines, but instead focuses on lowering the prices of quality wines that might cost 10-20 USD abroad, and getting these to consumers in the Philippines for the same price. If you are thinking of buying wines to give as wine gift in Angeles, then contact Winery Philippines now as we offer top-rated wines suitable as wine gifts at all price points. Since these wines are not available in the grocery, these wine gifts are excellent choices for corporate wine gifts as well as wine gifts for personal and social purposes. We also deliver wines in CDO, wines in Cebu, and wines in Davao. 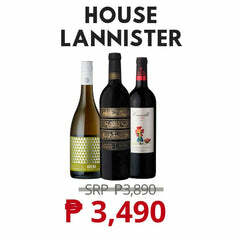 Buy wine online and we'll deliver to your address in the Philippines.